Hogies aka Bottom Whorl Spindles by Tom Hogan. My walnut Hogie in a basket of spindlespun Gulf Coast Native yarns. 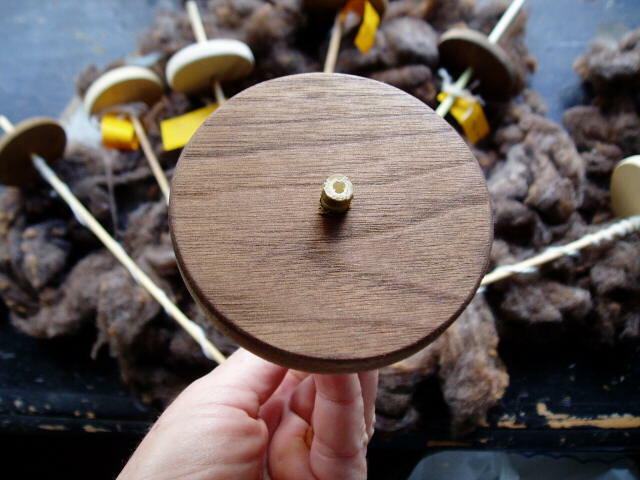 Here’s my walnut spindle whorl up close. It has a Danish oil finish, very smooth and natural. We sell these spindles at our farmers’ market for $16 – $20. They come with a hunk of roving and a lesson. These bottom whorl drop spindles spin long and true. No wobbling. At all. The notches are perfect. If you are a spinner of heavy yarns, Tom can carve a big notch for you. Likewise, if you spin laceweight, you want to ask for a small notch. 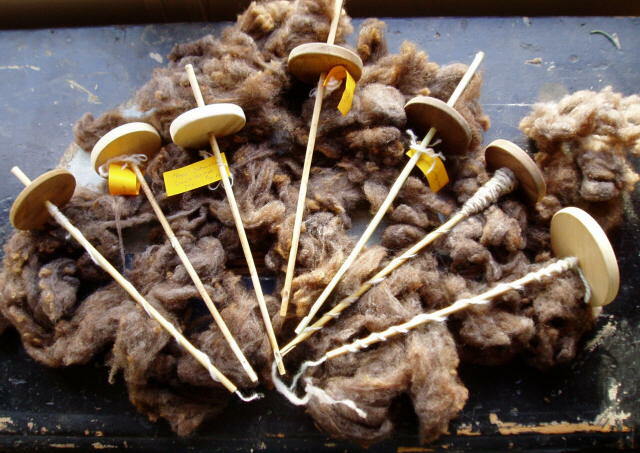 These spindles are made after the one I used back in 1972 at West Dean College in Arundel (Sussex) England where I studied spinning, dyeing, and weaving. Actually, I still have that spindle…and it still spins like a top. 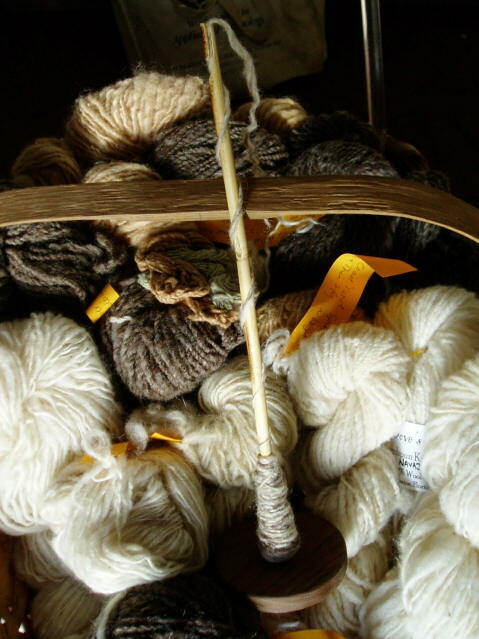 I’ve spun many a sweater’s worth of yarn on that old spindle.